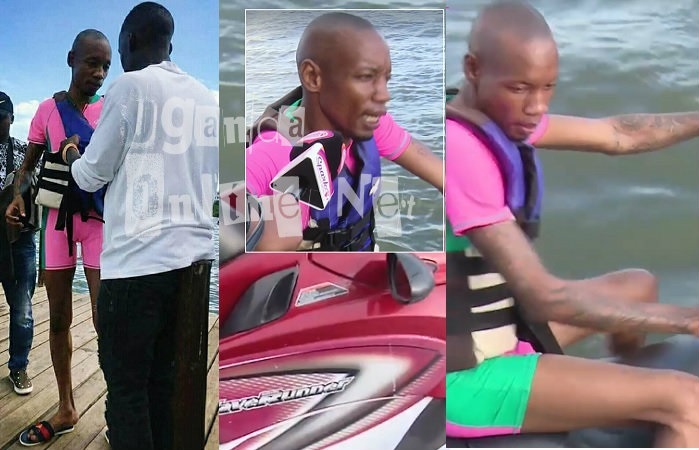 Bryan White is the new philanthropist in town and for the last one month, many have benefitted from the pencil thin tycoon generous ways with the latest being the Bukedde News readers who want to visit Abu Dhabi through a raffle draw. Bryan bought 5,000 copies of the Bukedde newspaper valued at Shs 5million. Many were seen filling in raffle tickets that will see 20 lucky winners travel to Abu Dhabi on a fully paid trip courtesy of Vision Group, the publishers of the Bukedde newspaper. On Sunday, Bukedde fans were in Wankulukuku for the Embutu Yembutukizi show that saw Bebe Cool and Winnie Nwagi among others entertain fans and on the opposite side of the city, was the Roast and Rhyme event which Bryan White attended. He spent most of his time jet-skiing. Snoops caught up with him to highlight on the drug trafficking rumors and most importantly, what he does for a living to give out all that money.. "Ugandans will always talk. If it's true that I do drugs, how could I have walked in with all that money? "The truth is, my mom married an Italian who renovates old buildings and puts them on the market, unfortunately, she passed on in 1997 and since then, I was a director in the company." "Two years back, the Italian also died and now, I'm in charge, so let the youths consult me on how it's done..I went to Italy and that was how I was blessed, so they should not hesitate to consult me," He concluded. Meanwhile, before hitting the waters, Bryan was seen being helped with the life jacket lest he gets issues while in the water.